Emerald Park, a freehold residential project comprises 46 semi-detached house, 5 bungalow units and two 4-storey apartment blocks with 24 apartment units. 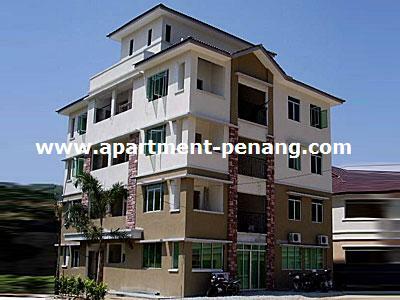 Strategically located in Teluk Kumbar, an easy access to Bayan Lepas Industrial Area, Penang International Airport and a mere minutes drive to the proposed 2nd Penang Bridge Link in Batu Maung. any idea how much is the semi d? 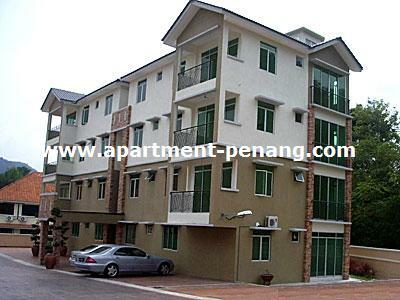 how about the apartment how much ???? The pavilion Tower by Super condo project going to start: -http://www.apartment-penang.com/2009/09/pavilon-tower-condominium.html. The location for Pavilion Tower is behind solok bkt belah 2 and 5 site or lower land level? is going to block the view or wind-flow? Hey guys, I am very curious about the 4-storey apartment block. 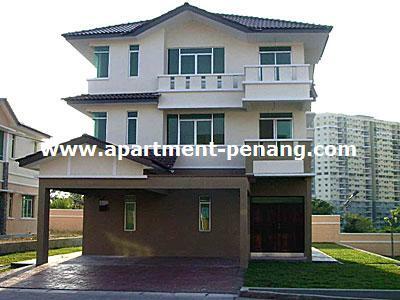 According to this link (http://www.mudah.my/Emerald-Park-Apartment--Bayan-Lepas-Penang-4144619.htm), the developer price is RM281K but it is now on sale for RM238K. Wow, what a bargain! What astonished me more is the fact that only 3 units are currently occupied; 2 on the ground floor while 1 on the first floor. The RM238K unit is located on the third (last) floor, so it is kind of isolated especially since the second floor is practically soulless. To be frank, it sounds too good to be true. Anyone mind to shed some light on this piece of property? Did you inquiry the seller? anyone you know want to sell thier semi-D now? Yes. It will block everything! Please come to the 4th story apartment, there is a drawing of the Pavilion project. to have a better view & understand why I said it will block. Thank you very much for highlighting on the cons. If you do not mind me asking, can I know if you are residing on the ground floor or the first floor? BTW, my friend who is very interested already called up Ms.Chan, and the unit is already sold. i went to view it with agents tweice for few semi-d for sales , environment is great to me, but two thing stop me to buy. besides above, the price and environment is worth it. any further advice to me whether to take it or wait n see? The environment in Emerald Park is quite good for me. Quite and peaceful. You can have a nice sleep till morning. Traffic wise, a bit far from town. And to go through the stretch of narrow road in front of the police station towards Bayan Lepas, it took me around 10mins to go pass it after 8am. So still not too bad, considering the price of the house. Tlk Kumbar Height is on the top of the hill, already there for years, project slow down for sometime. You can see got some houses build half way. No second thought if no Flat there and Pavilon Tower in future. Definitely price already reflect the scenario....where can find semi-D at such prices in Island except Balik Pulau. I got find out few projects surronding..
(new)Priestage hight - cost abt 5++K++. Prestage height - seen, PLB project+nearly completed. in front of high rise appartment. Bt Maoung- refering to Iping? or two Sunways projects? For landed properties, you won't get any view (except your neighbours' houses and rooftop. There is nothing much to be blocked. If you want good view, go for condo/apartment. not agree with u, just need to pay for it, Penang Island lots of good view landed property. 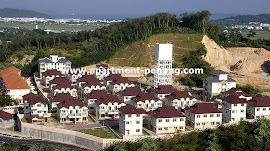 landed property with good view , sure have , go find at bukit jambul there around Equatorial hotel . me look for good property to invest, that's all. i know some projects but not all in the Island, therefore i comment what i've seen. Pen, the unit u mentioned still available? 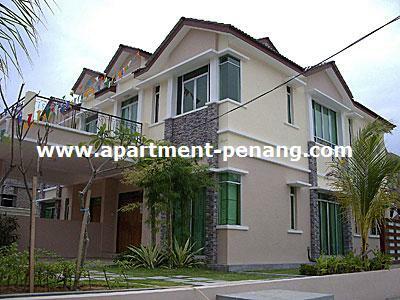 The house is still available, reno done ~RM65/70k, can't remember exact figure. Done on the balcony, master bedroom, living hall, kitchen and bid extension at the back yard for kitchen (so gain another dining hall). I'm interested in the apartment, anyone know the sq ft and price for 1st/2nd floor apartment? How much is the semi-D price for Emerald park now? going up or retain? Balik Pulau semi-D already hit 750k lo, 2nd phase by MTT. if not outdated, tlk kumbar and batu maung no more semi-D below 500k, except sg batu-tlk kumbar. please go to have a look but outlook not nice and smaller.